If you're traveling to So Cali (So Cal) for your birthday or a local, here are some cool free things you can do and get. Make your birthday eventful! If you're in the military who is visiting San Diego or living here, there are some really cool offers that you should take advantage of. Here are some free things you can get for being in the military and serving our country. Thank you! Free entry to Knott's Berry Farm in Buena Park for Veteran's Day Celebration from Nov. 1 - Thanksgiving Day. Any military veteran or active duty gets in for free and you can bring one guest! Must show valid ID. Best Western Plus Suites Hotel Coronado Island offers a full breakfast and a micro-fridge which is great if you plan on storing perishable items in your hotel room or keep your beverages cold. This is a great hotel for other military and navy travel as well. The prices are fair and you would stay on the same island of your sailor. 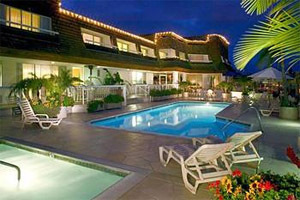 Click here to see pictures of Best Western Plus Suites hotel Coronado Island. Bay Club Hotel & Marina offers complimentary breakfast and airport shuttle service. Rates are very fair and you'll stay very comfortably. Click here to see pictures of Bay Club Hotel & Marina. Click here to see Hotels closest to Naval Base Coronado by radius. What tends to happen is our sailors move out of base and find a suitable location in San Diego to move into. Pacific Beach is the ideal place to live if you like living really close to the beach. it's about 25 minutes of driving from Coronado. It's a great place for young people to feel young and have fun. There are a lot of bars on the Garnet Ave. strip and about a dozen hotels to stay at within walking distance. If you're visiting and like to stay at a hotel close to the bars and beach, here are some suggested hotels. This hotel is literally beach front. It could get a little noisy at night but that's because it's so close to local bars. You won't have to use your car that often if you stay here. You can walk to nice restaurants, go to the beach in the day without hassle and enjoy the nightlife. In slower seasons like January, it rarely goes over $100 a night but it can get as high as $200 in the summer. Click here to see pictures of Surfer Beach Hotel. Best Western Plus Blue Sea Lodge usually offers deals with arestravel.com. They are beachfront, just like Surfer Beach and are close to a lot of bars and restaurant. If you stay here, check out the neighboring World Famous Restaurant for there California style cuisine. Click here to see pictures of Best Western Plus Blue Sea Lodge. 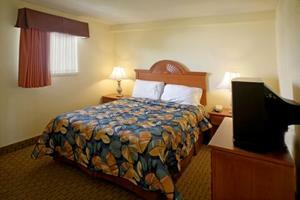 Click here to see all Hotels in Pacific Beach. On the east coast, we have big navy town: Norfolk in historic Virginia. With so much naval history, Norfolk is home to the world's largest naval base. Come stay in Norfolk and see this historic waterfront. It also has a booming cruise port. This city also neighbors Virginia Beach, which is a great place to visit as well. It's also one hour away from Williamsburg so you can do a lot of historic site visits. Hampton Inn Norfolk Naval Base offers free hotel breakfast during your stay and free internet as well. With rates that rarely hit over the $115 a night budget, stay here to save on breakfast. It is the closest hotel to the Norfolk Naval Base. They also have an indoor pool. Click here to see pictures of Hampton Inn Norfolk Naval Base. 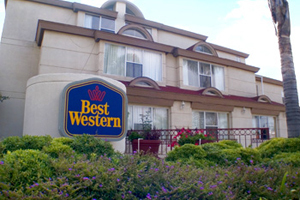 Best Western Plus Holiday Sands Inn & Suites is a beachfront hotel and your stay includes a full breakfast. The hotel is also close to a lot of things to do. Rates rarely go over $100 a night. 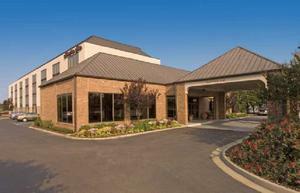 Click here to see virtual tours and pictures of Best Western Plus Holiday Sands Inn & Suites. Click here to see Hotels that are closest to Norfolk Naval Base when you're visiting your sweet sailor. 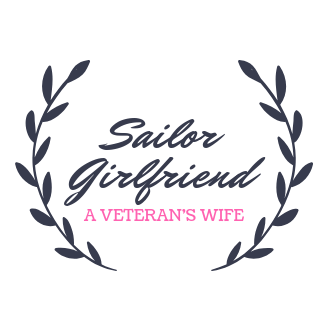 As girlfriends, fiances and wives, we often go through tough times without our Navy Sailors. Sometimes we visit them and even move with them.